Maybe you are a new family and looking for something from baby to Daddy on his first special day. It’s not like bub can go out shopping but they could totally watch you order one of these online 😉 These Datevitation booklets are fun for all occasions…They’re even a great little motivational gift for children. When I was reviewing for this post I made one for Miss Gremlin, there were lots of things to do with kids. It’s such a fun versatile gift that I will be going back to make them again and again. It’s so simple yet the recipients love them . Making one for Dad this Father’s Day is a double bonus, because Dad gets treats and time to spend with the kids and while they do… we get some down time, see what I did there? You’re welcome. 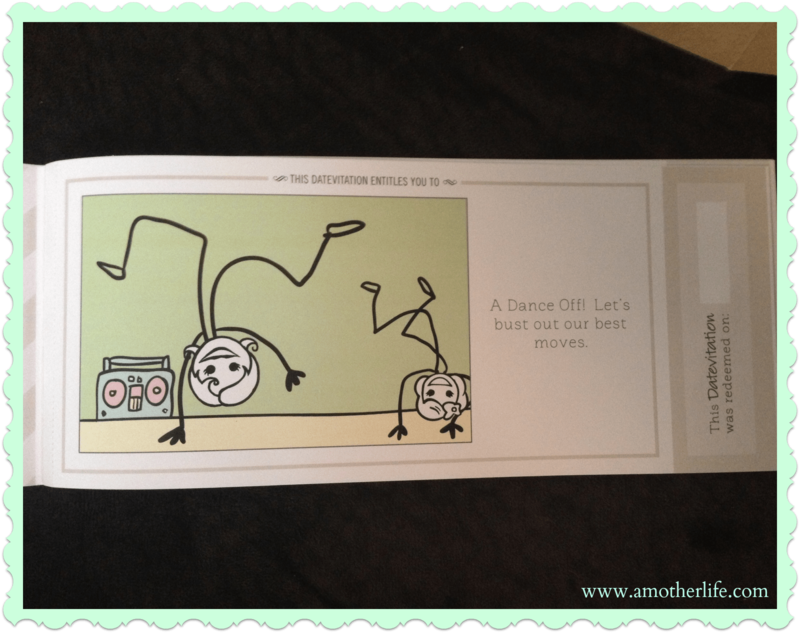 Datevitation.com is the web’s first online platform to create a custom love coupon book. Unlike the pre-packaged love coupon books on the market, you pick the dates and can customize the text to your liking. Once you are done customizing the text in your book, Datevitation will print it out and ship it to you. 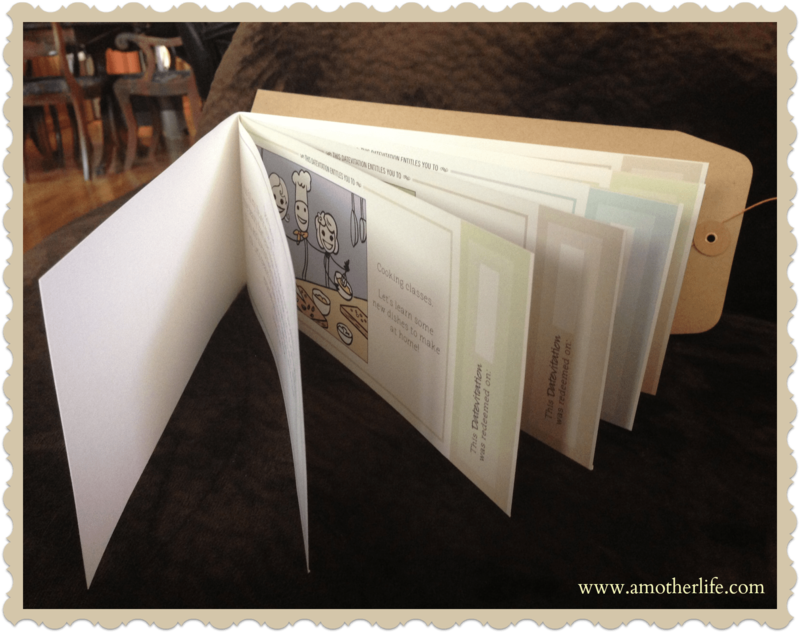 My booklet was very simple to make and arrived in about 3 days! 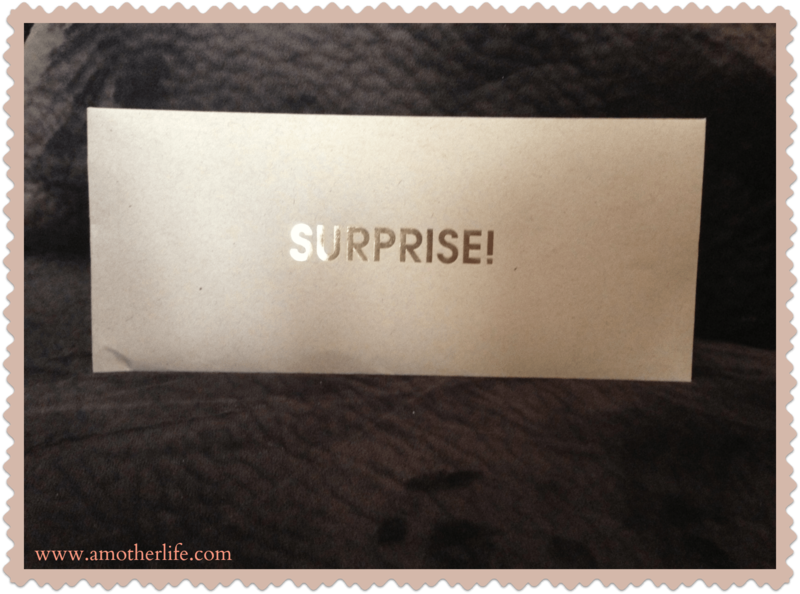 The packaging is really lovely, a natural envelope with surprise printed in gold on the front. Very classy. Datevitation just launched its “boy” and “girl” characters with over 200 new activity illustrations specifically for kids and parents. Just in time for Father’s Day! These are the simple yet personal gifts that build precious memories and remind us what Father’s Day is really all about. There are many fun date ideas to choose from, so much fun for the kids to help design too. Their library contains over 350 date ideas ranging from skydiving to stargazing even steamy adult-only activities. (I’ll be sneaking back later when nobody’s looking to make a naughty book for the King) We also have over 100 book cover options to suit any occasion. Books normally start at just $20 so it makes for a thoughtful yet economical gift. But as a special treat for you guys, you can use the code ‘AMOTHERLIFE’ for $10 off your purchase in May or June. That means you can get your loved one a one-of-a-kind gift for Father’s day starting at just $10! The order cut-off date for guaranteed delivery by Father’s Day is June 6 so make sure to get your order in before then! Be sure to click on the button below to get started making your own Datevitation booklet for ‘Dad’ . Be sure to submit your giveaway entries too, you could win a booklet for Dad, someone has to, why not you? I was compensated for this post by receiving payment and a free custom made Datevitation booklet. All opinions are my own. Cool! I would actually do this. My boyfriend would totally love this! My husband totally loves stuff like this. Well, he loves cashing them in, anyway. 😉 Hope I win! OOH fun! I hope you win too! This is actually something my husband would love…and something I would hate when they were cashed in!